Naughty Dog Creative Director Neil Druckmann says that "everything in the game is necessary for the story." Violent videogames are once again under the microscope and the game industry is once again doing everything it can to mollify critics, from participating in hearings on gun violence to excising entire segments from upcoming games. 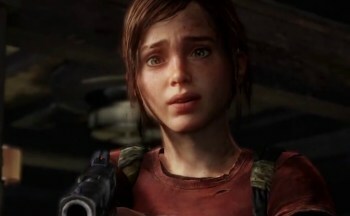 But Naughty Dog says it won't compromise on The Last Of Us, an end-of-the-world survival-action game featuring a 14-year-old girl who gets caught up in some pretty harrowing scenes of violence. "For us, everything in the game is necessary for the story," Druckmann said. "The reason Ellie is that age and the violence is that brutal is because of what we're saying with the story. You have to buy into the conflict and desperation these characters live under. If you remove any of those elements, the story suffers, and that's why we would never do it." A gameplay trailer from last year's E3 shows Joel, Ellie's companion, viciously beating and killing opponents, including one downed enemy he executes with a close-range shotgun blast to the face. Ellie expresses shock at Joel's violence but ultimately takes part in it herself, stabbing a man in the back. The sheer brutality and very up-close-and-personal nature of the violence make it stand out even in the blood-soaked realm of videogames, but according to Druckmann, that's the point. "For someone like Ellie, because this is the only world she's ever known, things we would find horrific and that would probably scar us for life are just everyday occurrences for her," he continued. "She can still, in a way, keep some of her innocence because of that. She pulls the humanity out of Joel, and this is really a coming-of-age story for Ellie." The PlayStation 3-exclusive The Last Of Us comes out on May 7.